Fashion blogger Shauna Miller says the Amazon/Hachette feud is hurting the launch of her new book. Shauna Miller says Amazon is "killing her". 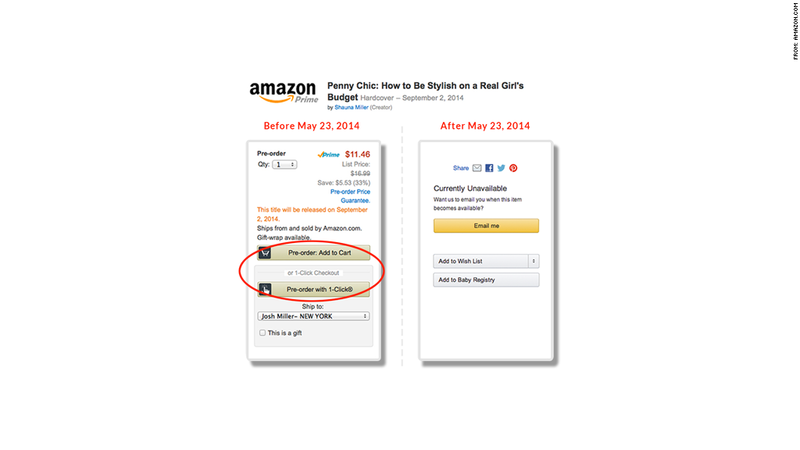 Her book, "Penny Chic: How to be Stylish on a Real Girl's Budget," is due to hit the market in early September, but Miller said the book's "pre-order" button on the Amazon.com (AMZN) website has disappeared. Miller's publisher is Poppy, a division of Hachette Book Group's Little, Brown and Company. Hachette and Amazon.com have been embroiled in a bitter feud since earlier this year. 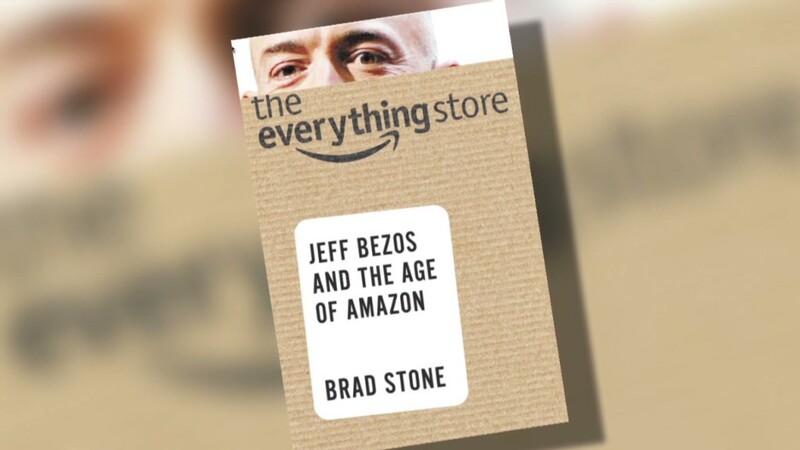 It's gotten so bad that Amazon basically told customers two weeks ago that if they want a book published by Hachette, they should go buy it someplace else. For Miller, a first time author, the timing of the kerfuffle is terrible. She worries that it could destroy her chances of a successful launch. After all, Amazon makes up 40% of all book sales, according to industry researcher Codex Group. Miller has been trying to leverage her popular blog "Penny Chic" into a business. In her blog, Miller takes clothing from discount stores and accessorizes them to look like some of the latest high end fashion trends. Her three-year-old blog drew interest from Wal-Mart (WMT) last year. Miller designed a 2013 collection for Walmart.com of $20 dresses that she says sold out quickly. The first-time author says her book is an important part of expanding her franchise and is geared for teens and tweens, who want to look fashionable without spending a lot of money. Miller even worries about what this holds for her reputation as an author. "I am at risk for being associated with a publisher that has a bad relationship with Amazon," said the 28-year-old, who works out of her parents' home in Los Angeles. Amazon has reportedly been pressuring Hachette to let it lower prices for e-books. But Hachette has resisted. Amazon retaliated by removing pre-order options from Hachette books, cutting discounts and lengthening delivery times. The standoff has affected a wide range of notable authors. J.K. Rowling's novel "The Silkworm" is due to be released on June 19 and Michael Connelly's "The Burning Room" is due in November, but neither can be pre-ordered on Amazon. Books from other popular Hachette authors Malcolm Gladwell and James Patterson now take between two to four weeks to ship, compared to books from other publishers, which are "in stock" and available immediately. Amazon.com declined comment, while Hachette Book Group didn't return calls for comment. For Miller, it's ironic that Amazon has turned out to be her enemy. 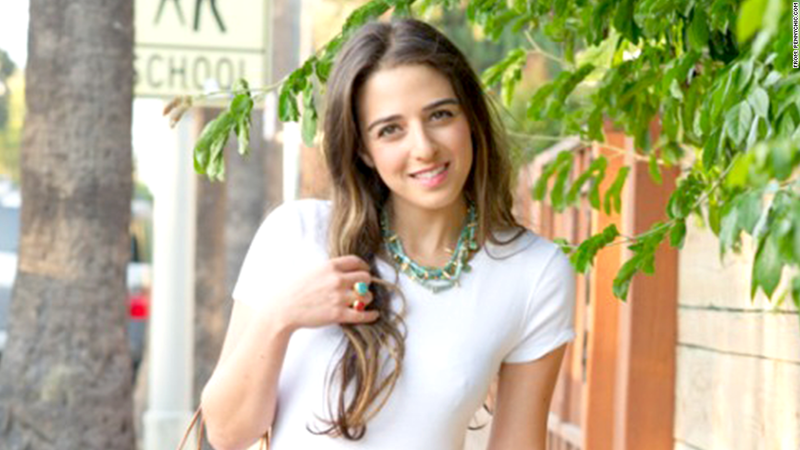 She has been a big supporter of Amazon, often linking to fashion accessories sold on the site from her blog. Miller says it's a betrayal, "I feel like I've been stabbed in the back by a company I supported."